We can't thank you enough for a terrific year, and an amazing overall experience throughout our son's time spent at the Jewish ELC. You always made us feel so comfortable and secure, knowing our son was in good hands. We will always look back with such great memories! We truly appreciate all that you have done. Thank you so very much and looking forward to a great summer! My daughter loves the Jewish ELC! She sings all the Hebrew and English songs, shows us all the yoga poses she learned, tells us the healthy foods she ate and what she wrote. We are so pleased! I am pleased with both the secular and Judaic compenents of the Jewish ELC, and I feel that my son will be very ready for Kindergarten! The children are learning so much and are so loved. My daughter truly loves going every day and that speaks for itself! My child is in a safe, warm and Jewish environment while I have to work. My son has a wonderful time, sings all the songs, loves the food, and playing with his friends! We are extremely pleased with our son's progress and the level of care and education he receives. Thank you all! I am really happy with the wonderful staff, Kosher meals and challenging and creative curriculum. Morah Paola is a truly dedicated and loving person and individual. My daugher has connected to her as a teacher and as a caring person whom she adores. Your staff at the Jewish ELC are very special and that is the main thing for me. Morah Sarah Chanah is loving and kind, has amazing ideas and is really reaching our daughter academically and in Judaic studies. I am very satisfied with the Jewish ELC staff! They greet us nicely in the mornings and are very receptive to feedback! I feel very comfortable around them. Morah Paola is a wonderful, caring teacher. She has done so much for our son to both teach him and keep him happy throughout the day! I don't know how Morah Sarah Chanah manages to teach the children all the Hebrew and songs. Amazing,caring teacher! How happy he is there! He runs to the door each morning and has learned so much! Loves it all! Especially judaics! Has learned so much and comes home happy everyday! She loves school and all of her friends and teachers! Always wants to go, asks each day if there is school today. Talks about the centers and playing with friends. Words are inadequate to express my feelings as my child concludes his three years with ELC. The success of the program has been a team effort with you at the helm. You created a warm, nurturing, happy, educationally excellent home away from home for so many children, and I know you will continue to do so. Not only have you shepherded the children and the staff through these years of growth, but the parents as well! Thank you , may you go from strength to strength. Thank you so much for an incredible year! We really appreciate all the efforts you made in helping our children adjust in the beginning, as well as paying such great attention to their individual needs throughout the year. We are so thankful to you for helping them learn and grow so beautifully. Thank you for always taking the time to help our son grow and learn with such love and genuine interest. My son has been attending JELC for 6 months now and we're thrilled to have found such a warm, caring and nurturing environment for him. My wife and I were reluctant to pick a daycare; however, after finding JELC we quickly stopped searching. With each week that goes by we're continually impressed with the variety of creative learning and play they offer the children. As one of the younger children, my son is one of the few that doesn't talk. We are grateful for the extra time and patience the teachers have demonstrated to make him comfortable and teach him to speak. Their affiliation with Chabad has also helped us get involved with other young Jewish families in our area. Five stars! I love the Jewish ELC. When you leave your child there to go to work you will know they are in the best of hands. You will never worry and that means the world to me. The staff is warm, loving and friendly. They truly care about the growth and development of your child. I am amazed at how much my children have learned there in both Hebrew/Judiac studies and English! They have so many innovative ideas and programs too! My children are so happy there! We are so blessed to have the Jewish ELC in our town. "Dear Chani, Thank you so much for an absolutely terrific year. You did it again! We so deeply appreciate how much effort you devote to taking care of our son and to making sure that he feels safe and happy each and every day. 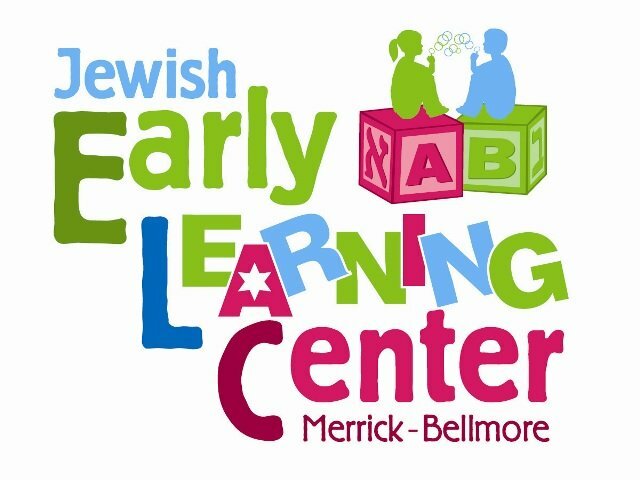 We are so glad to be a part of the Jewish ELC family!"